The Reusch Pulse R2 Goalkeeper Glove offers more durability. Great practice or game option for a goalkeeper playing on turf. On Sale! The R2 SUPER SOLID foam is the right choice for goalkeeper's looking for a palm that is longer lasting and is good on artificial turf and hard ground fields. While still being a smooth foam, Reusch have put in additives that make the foam denser, and therefore offers better durability. 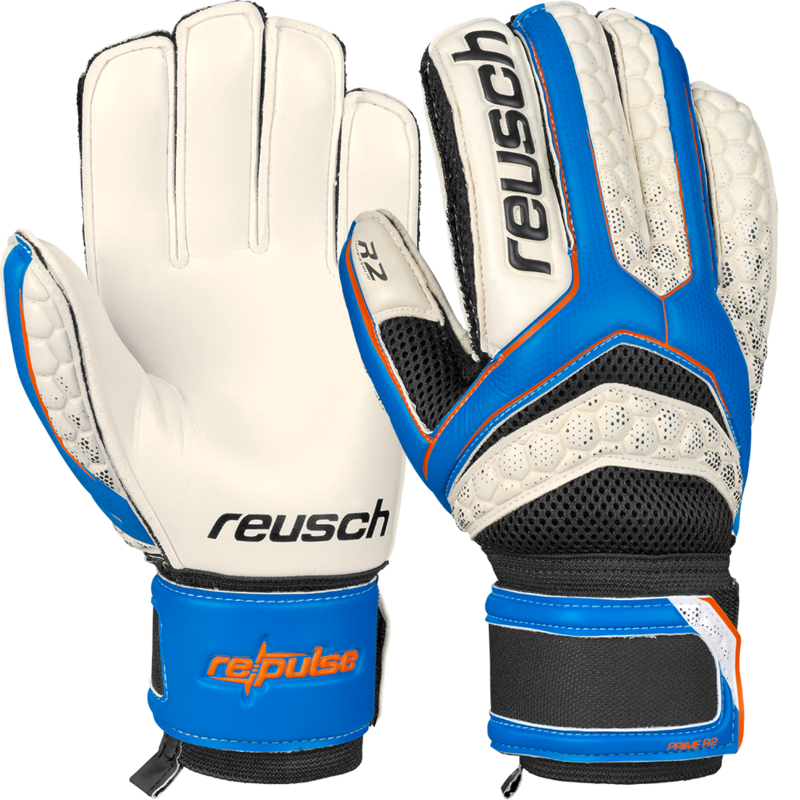 This Reusch soccer goalie glove features soft PVC backing. Embossed foam design makes the glove more flexible at many breakpoints. Impact Shield gives the goalkeeper added protection on the backhand of the glove. Expanse Cut. Reusch's AirVentSystem uses highly breathable Air Mesh material to make this glove more comfortable. The deep thumb notch on the face of the glove includes an elasticized piece below the foam to help eliminate tear out. Reusch also use an elasticized thread throughout the glove to help eliminate tear out. Side mesh vents allow this glove to keep cooler during match play. Thumbflex. Gloves are great, but customer service was even better! We had an exchange, and it was processed really fast, both in sending the new pair of gloves and in applying a refund of shipping costs. Emails were responded to almost immediately. Would definitely order again - thanks!